We offer a variety of stylish Mens Trousers. These Mens Trousers are gently pre-washed for softness and shrink resistance. From pleats or turn ups, zip or button flies, attach buttons for braces, add belt loops or side buckle adjusters; there is something for everyone. - This pair of track pants from Masculino Latinois comfortable and stylish. 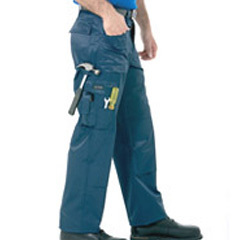 We are highly acknowledged organization engaged in presenting a remarkable range of Men's Cargo Pant.